I’m not usually struck too hard by nostalgia, but I can’t think of anything else that would make want to see this film more than other Dreamworks movies. What’s on display in this trailer is pretty typical animated movie shenanigans, though I do think Danny DeVito is an obvious, but still amazing choice for The Lorax. But there’s nothing particularly remarkable, and in fact some suggestions that a lot of easy jokes and overdone action will fill out the short story. Still, there’s frankly just something… neat about seeing the Seuss world brought to life on screen again. 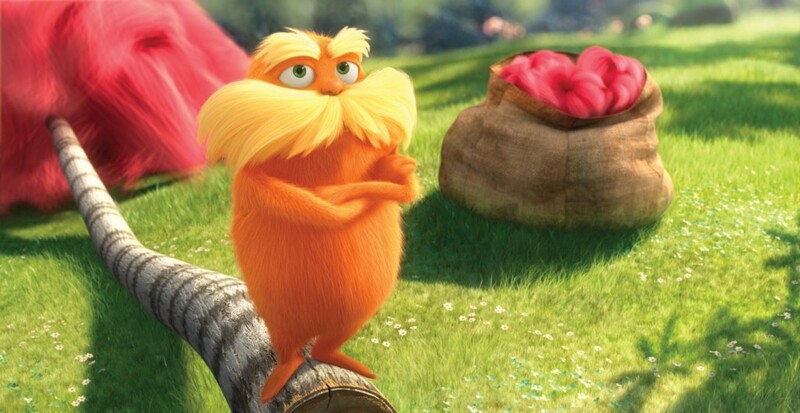 That said, what’s with such a scant amount of actual Lorax in this trailer? Feels like it takes half of the trailer for him to pop up and even then has minimal presence… I’m sure it’s just a case of teaseritis. Johnny Depp has stated that his Dr. Seuss project will include animated characters of some kind, so we’ll be seeing all sorts of Truffala trees and oddly shaped fish on screen for a few years. In other news, we appear to finally have Apple embeds! Hooray.